Yet another tiny participant in the almost endless parade of warblers. 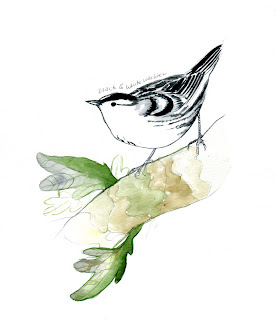 Mniotilta varia is a feisty warbler that is easily spotted due to its striking black and white plumage (both male and female), and its tree creeping behaviors. Similar to nuthatches and brown creepers, they can be seen scaling and creeping along tree trunks and branches collecting insects from bark and leaves. They're fairly common in summer throughout the eastern US, and their winter range reaches into northern South America. When I was little my cat taught me a tough lesson with this bird. The only time I have seen one of these was in the mouth of my tabby. Growing up, we lived in a fairly rural area and let our cat roam free. This was before we had a clear understanding of the devasting impact roaming pet cats and feral populations have on wild bird populations. These days I live in a much more urban area, but the cats stay inside unless joined by my company in the back yard. 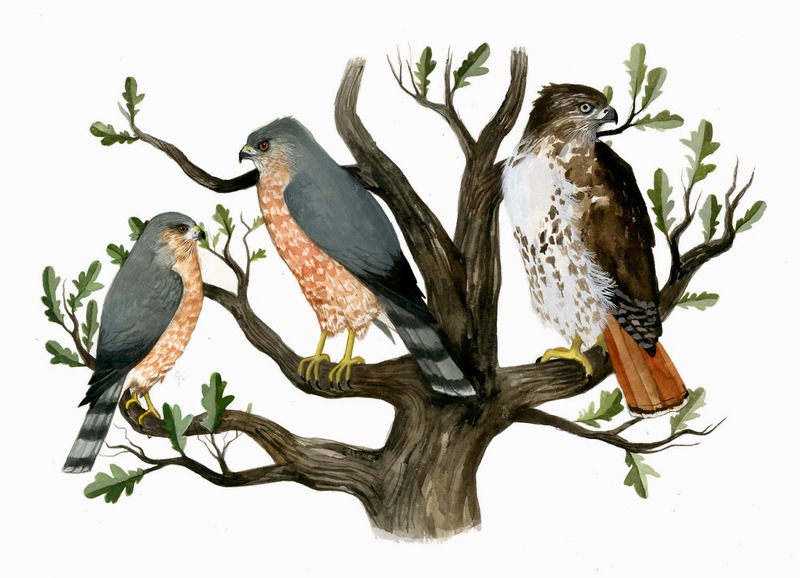 Thank you, Diana, for helping to spread the truth about cat predation on birds. it's a big issue isn't it? feral populations of domestic animals can wreak a lot of havoc on native wildlife.